$34.95 In stock. Order in the next 10 hours, 13 minutes and it will go out today! 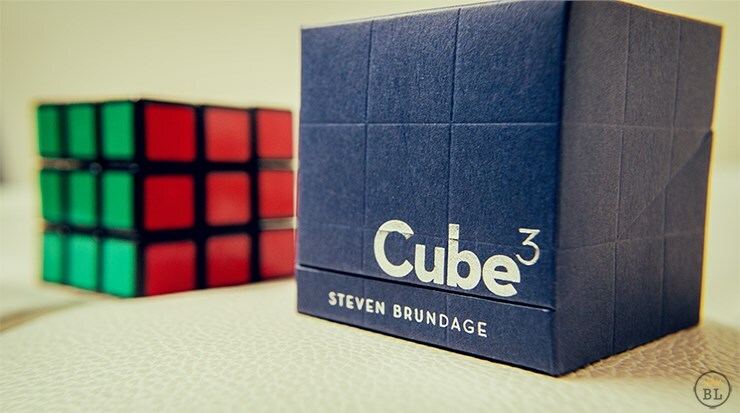 We're sure sure that if, like us, you have seen Steven Brundage's Rubik's Cube routine, you will have been blown away. What he does with the puzzle that is known the world over is simply incredible. It is so incredible that it has won him widespread acclaim on 'Penn & Teller: Fool US' and 'America's Got Talent'! Steven shocked the world by using a Rubik's Cube to get out of a traffic ticket and the video populated social media feeds all over the world. He fooled Penn & Teller, then Steve Harvey, Good Morning America, NBC, ABC. Now, Steven wants to teach you how he uses his closely-guarded Rubik's Cube routine to crush audiences all over the world. Great stuff! I've never solved a cube before but after watching Steven teach it I got it down in an afternoon. A little more work and I'll be able to do it fast! The tricks on the dvd will take some time but they are totally wroth it! Great stuff! Really great! I thought it would be a lot harder than it is! I've tried to learn how to solve a cube before but it was difficult to follow along! Steven makes it really easy to follow and I could solve a cube within a day! This is really great. I'm getting so excited just being able to solve a cube, much less the magic stuff. However, there is an error in the video on one of the solving sequences. The sequence is F' - U - F (for corner facing front) and he says that along with the video overlay showing that that, but he actually does F' - U' - F. The cheat sheet actually shows the correct move with the U' instead of the U, but being new and having no idea what I was doing I had to watch it a few times to realize he wasn't doing what he said he is doing at that moment. Anyway, other than that it has been great instruction and I haven't even gotten to the "magic" yet. I'm writing this, because I have a somewhat different perspective from other folks who have written previous reviews. I am experienced at solving the Rubiks cube. I would not consider myself a speed cuber, but I can usually solve it in under a minute and have been able to do so for many years. I watched enough of the first section of videos to make sure I was already familiar with his solving methods, and then skipped to the second to learn the effects. Be aware, if you do not know how to solve a cube, you will definitely have to put in the time learning how. I think you need to be comfortable solving the cube before you're going to enjoy learning the effects. If you are anxious about getting the cube back to a solved state each time you pick it up to manipulate it, you may not enjoy practicing the effects very much. Believe me, you will have to solve the cube over and over again when you make a mistake learning the manipulations. I would estimate in the three or four days I've been working with this effect, I have probably had to solve the cube at least 40 or more times when I have made a mistake and scrambled the cube instead of getting it into the right configuration. Part of this may also be because I am left-handed and had to figure out how to modify the instructions so that the effect will work correctly when I use my left rather than my right hand. I own about eight Rubiks cubes, and have modified many of them for speed solving. I think the cube that came with this affect is first rate. It is adjusted perfectly, that is not so loose that you need to worry about it popping apart, but it is still very easy to manipulate with one hand. The stickers seem high quality as well, so I think that they will hold up for a long time. Considering that a good speed cube is typically $10 or more, this effect is a real bargain. I have been learning the effects, and I find them to be extremely enjoyable. It has actually been hard to put the cube down, even when my hands get sore. It is really like learning object manipulation or sleight-of-hand. That is, you start out slow and careful and gradually develop muscle memory. Watching the moves in the mirror, especially the imagination solve, is mesmerizing. Getting good at these effects and feeling comfortable performing them will take some time, but that is also true of effects with coins, or cards. What is very cool is that this is a completely normal cube. I have the same satisfaction, if not more, practicing the manipulations with the cube as I have had learning false shuffles or other manipulations of a standard deck of cards. 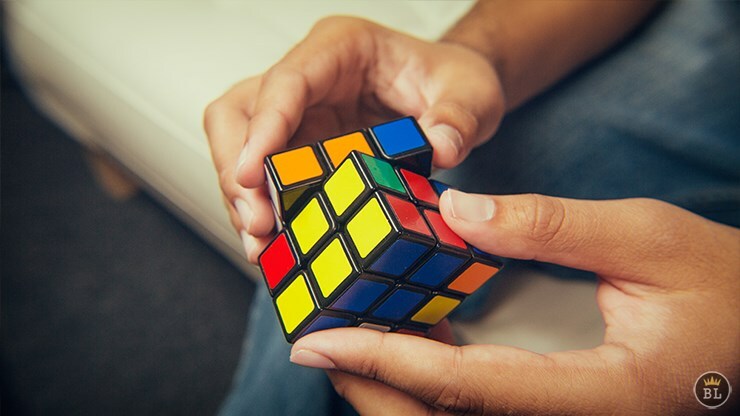 Bottom line-if you are ready to put in the time to learn how to solve an un-gimmick Rubiks cube, and then learn the extremely well taught manipulations it takes to do some beautiful effects, you will have a great time with Cube3. There is a mistake on the second set of videos for the second false shuffle. It took me a while to figure it out, because he was saying the algorithm as it was written on screen even when his hands were doing something different. The important part of the correction is to do the U2 before doing the final R2. Whether you do the prime or not doesn't matter as long as you are consistent. I hope this helps save some time learning this important part of the routine. I'm so happy with this purchase! It's perfect! I'm very happy with this. The cube is good quality and the videos are well done. I'm also extremely impressed with Vanishinginc's customer service. I had a problem with the USB drive that came with this, emailed, and got a response within 10 minutes early on Saturday morning!! The problem was solved with just that one email. Thanks for providing such great customer service! WOW! Killer stuff! It's going to take some work but it's wroth it! Top notch! Well taught, the cube you receive is incredible quality, amazing magic! I've already started to get it down! Wonderful effect! The instructions for just solving the Rubik's Cube is well worth the price. For the first time I solved a Rubik's Cube in less than an hour! Steve wonderfully goes over every possible scenario! Just know that the cube doesn't come with the USB but no worries! There are links to download the video and to watch it anywhere! Overall this is a steal for 34.99 plus free shipping? What are you waiting for?!! Although there are some typos, it is easy to figure it out from what Steve is showing you. 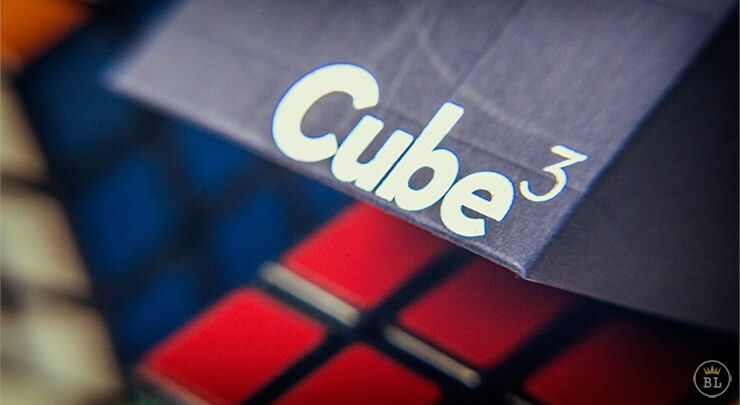 I would best describe Cube3 as card college for the Rubik's Cube. Note: Do not proceed to the effects if you cannot solve the cube. Take the time, and learn the solve which Steven teaches beautifully. I'm not a speed cuber, nor was I a cuber before this, but after a week of regimented practice I can solve it. It's vital because as you're learning the effects you will need to re-set after you've messed up the algorithms AND YOU WILL. The good news is as you mess up the effects, your ability to solve the cube will get better and better. I must admit, I'm addicted. I have trouble putting the cube down. The effects are works of art. Sleight of Cube. This is no different than learning card or coin manipulation. It is simply another medium in which to express magic. If you're a purist, that is to say you like to be gimmick free, this is the effect for you. 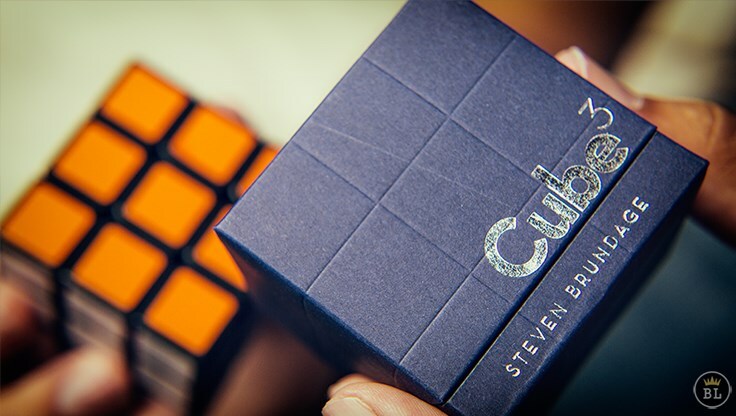 The cube supplied is super smooth, and can easily be manipulated with one hand. This is vital for many of the effects. Once you have the foundation, you can easily come up with effects of your own. Is it worth the practice? Oh absolutely. The payoff is huge. 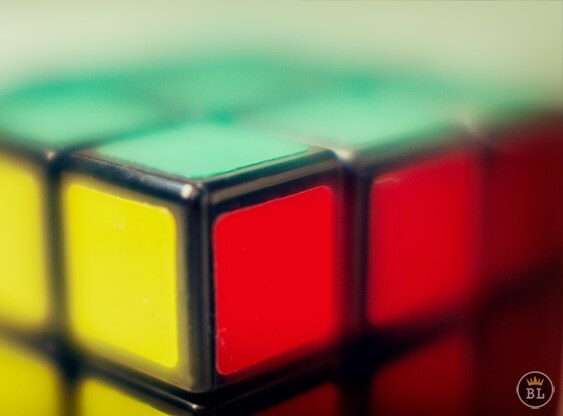 The Rubik's cube is easily recognizable for any age so it's an effect which you can perform for anyone. 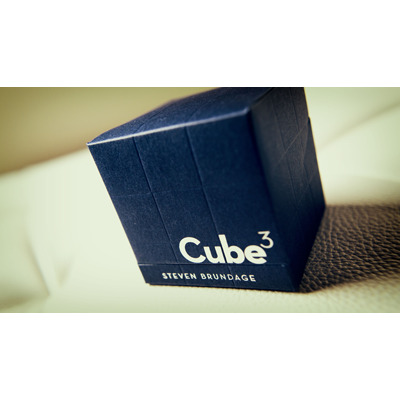 Although not overly complicated, I would best describe Cube3 as unforgiving. One miss, and it's over. So make sure you can do the effects ice cold. If any of you perform Cube A Libre, you'll be able to empathize what I mean by unforgiving. If you respect how you perform then respect this effect, and please take the time to learn it well before you debut to your audiences. You will not regret it. I've been doing cubes for about a year. Sub minute times doing the bigginers method, but I'm now learning the advanced (cfop) method. I stumbled upon Steve's videos and was floored. So I ordered the trick , unpackaged, and inspected the cube. I was totally disappointed!!! It's just a average speed cube, with a bunch of tension! I was highly upset because I thought he was using a gimmick cube. Then I wached the downloaded video, went straight to the second part just to see his cube is normal. I was totally convinced the cube had a magic button or somthing... no! Hahaha! I couldn't believe it, this man was doing this with a regular cube!!! So now I can't be happier, because I can blow people's mind with ANY of my cubes, or use a borrowed cube. I love magic, and have a fair amount of really good tricks.... This is by far the greatest magic I know! Thanks guys! You don't get such quality magic at such a good price every time! :) Go get it. No second thoughts! A lot of these are angle-y but the two best products are the bag solve and the imagination solve. When done right, the imagination solve is beautiful. Normally you can only have spectators in front of you but you can change it to have people on the sides but not the backs. Only two products in this are really able to be performed immediately, the rest are super angle-y and awkward and will take some time to cover your angles and get the "effect" looking smooth. I have been having more fun with this. Steven does a great job of teaching the basic solve. I have never solved the cube before, it took just about the time he said it would. I am just at the point where I don't need the cheat sheet and can solve it in 5 minutes. That is good enough to start to learn the effects, because in learning you will mess up. I welcome the mess up because it allows me to mix the cube up and do another solve, which gets faster with practice. I really like that this is a regular speed cube, with no gimmick. So it really depends on your practice and skill, but if you enjoy the process, then this is great fun. I love the cube that comes with it, also 3 hours long of instructions. However, when I re-watched his performance on Penn & Teller: Fool Us, the cube looks different, so he does have a bit of a different handling than what he shows, though it still works. Additionally, he doesn't teach the "millisecond" solve, but if you can figure it out it's not that hard. But overall, a great product!